NBC Connecticut is proud to be connecting you to better health at our 2017 Health & Wellness Festival today, October 28, from 9:00 a.m. – 4:00 p.m. This daylong festival at the XL Center in downtown Hartford features health screenings, interactive booths and activities for the entire family. In addition to free flu shots for the first 500 adults courtesy of ProHealth Physicians, each visitor will receive a free voucher for an upcoming Hartford Wolf Pack game. The entire day delivers a value of $250 in free flu shots, screenings and giveaways for a family of four. 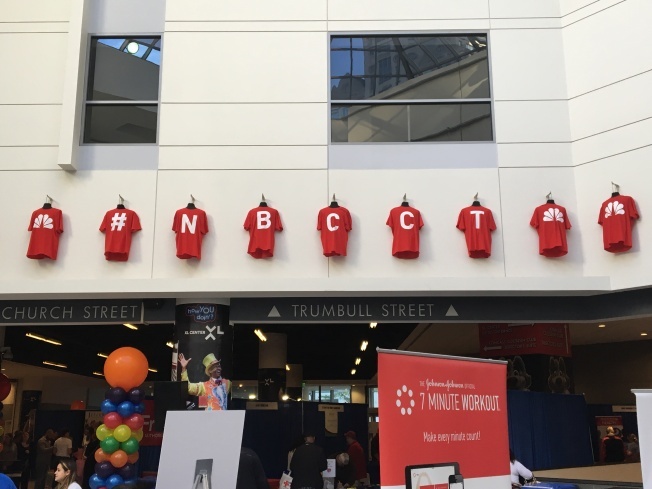 Kick the day off on a healthy note at the NBC Connecticut Family 5k, where runners do laps inside the XL Center concourse. It’s flat, climate controlled and fun for the whole family! Sign up now! There will be two heats: 8 a.m. and 9 a.m.
You have a chance to enter to win a super cool Smart Watch at the Health & Wellness Festival if you complete a fun scavenger hunt. Click here to download the scavenger hunt guide. Help save up to 3 lives by donating blood at the American Red Cross mobile blood drive. Register to donate here.